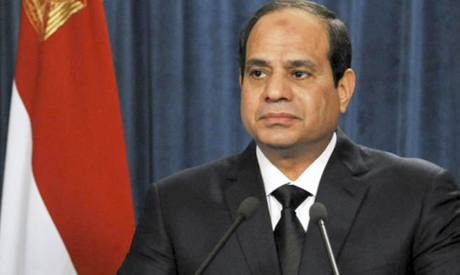 Egypt's President Abdel-Fattah El-Sisi promised vengeance in a speech to the nation after a deadly terrorist attack on a mosque in North Sinai killed at least 235 worshippers. El-Sisi said that the military and police “will avenge our martyrs” and will respond “using brute force against those fragments of terrorists” in the coming period to ensure stability and security. Gunmen attacked Al-Rawdah mosque in Bir Al-Abed, after Friday prayers. Eyewitness told Ahram Online that improvised explosive devices were detonated and the gunmen then opened fire at worshippers at the mosque, which is affiliated with Sufi groups. “This evil terrorist attack will only make us more determined, solid, and strong to fight against terrorism,” he said. "We will fight terrorism with unbreakable power and determination," he said, expressing condolences to the families of the victims and wishing speedy recovery to the injured.